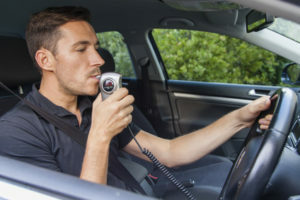 In New Jersey, when you are convicted or plead guilty to a driving while intoxicated offense, you may be required to put in your vehicle an ignition interlock device. It’s an expensive piece of equipment that you have to pay for in order to be installed in your car as well as the monthly fee. If it is your first DUI and your blood alcohol reading was a .15 or higher, you are generally required to put the device in your vehicle. If it is a second or subsequent event, you are almost always required under New Jersey law to put the device in your vehicle. Upon your second, third or subsequent DUI offense, you will be required to install the ignition interlock device in your car for 1-3 years after your driving privileges have been restored. If you neglect to install an ignition interlock device on a vehicle after the court has mandated that you have one, your license may be suspended for an additional year. In some circumstances, you may have a medical condition that makes it so you cannot operate an interlock device. If this is the case, you will have to have your physician write a note that explains why you cannot operate the device due to your condition. The note will have to be sent to both the interlock manufacturing company as well as the New Jersey Motor Vehicle Commission who will decide what the next steps are. The ignition interlock device requires you to test your blood alcohol content every time you get into your car. If any reading above 0.05 appears on your blood alcohol reading, your car will not start. The State of New Jersey provides those who are required to have an interlock device with an approved list of manufacturers. You will be required to pay for the device yourself as well as pay for the monthly fees associated with having the device in your car.